Are there any hair loss medications that work? There are many hair loss “medications” on the market; only two are approved by the FDA. Contrary to the promises that accompany some medications, not all of them work or are even safe. Furthermore, each person responds differently to hair loss medications based on a number of factors, including the cause and degree of hair loss, age, lifestyle and health. Minoxidil (a topical liquid) and finasteride (an oral pill for men) are the only FDA-approved medications. However, the FDA has recently been investigating Finasteride's serious, sometimes permanent sexual side-effects. hair loss product minoxidilMinoxidil is used in Hair Club's at-home EXT® program. The accompanying shampoo, conditioner and cleanser are specially designed to ensure proper application and absorption. A nutritional supplement containing vitamins B3, D, E, biotin, saw palmetto and nettle, safely contributes to healthy hair growth. Can children experience hair loss? Yes, hair loss in children is estimated to account for 3% of pediatric office visits in the U.S.
hair loss in childrenChildren may experience hair loss due to certain infections, such a fungal infection of the scalp, which is easily treated with antifungal medication. Additionally, if children wear tight pigtails or cornrows, the pull on their hair can result in traction alopecia. If the pulling is stopped before scarring of the scalp develops hair will grow back normally. There are, sadly, cases of permanent or prolonged hair loss in children. In addition to affecting adults, Trichotillomania and Alopecia Areata can also occur in children, as well as cancers and other disease with hair loss as a consequence. Is it common for women to experience hair loss? Hair loss is far more common for women than most people realize. Today there are more than 30 million women experiencing hair loss in North America. 40% of all women will experience some female pattern hair loss by the time they reach menopause and nearly half of all women will experience some form of hair loss by age 50. There are many different causes of hair loss. The causes vary depending on age, hormones, illness and genetic disposition. Hair loss can also be caused by medication, stress or trauma. About 90% of male hair loss is caused by Male Pattern Baldness . While a similar condition occasionally affects women as well, female hair loss is typically the result of other causes like hormonal imbalances. While some hair loss is permanent, hair loss caused by illness, pregnancy and stress can be temporary. If your hair loss is caused by hair care or styling habits, medications stress or diet, there are preventative steps you can take. Hair loss prevention usually involves altering your habits (for example, eating healthier foods or opting for a more relaxed hairstyle). If your hair loss is caused by genetics or a medical condition, Hair Club is able to treat your hair loss by prevention, surgery or replacement. Preventative solutions include the Extreme LaserComb and EXT® Extreme Hair Therapy . Is it normal to lose hair? What are the symptoms? Yes, some hair loss is normal. An average healthy person can lose up to 100 hairs a day. If you see thinning, bald patches or are losing more than 100 hairs a day, you may be experiencing hair loss. The most common sign for men is the receding hairline or thinning crown common in Androgenetic Alopecia or Male Pattern Baldness . Hair loss that occurs in patches is often a result of conditions such as Trichotillomania, Traction Alopecia, and Alopecia Areata. 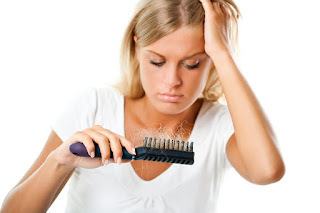 Thinning hair, excessive shedding, bald batches or complete baldness are all signs of hair loss. Chemotherapy can cause hair cells to stop dividing, resulting in hair loss. In some cases patients lose as much as 90% of their scalp hair, others lose none. Sometimes this hair grows back when the cancer treatment ends, sometimes it doesn't. Common chemotherapy drugs that can hair loss include methotrexate, cyclophosohamide, bleomycin, doxorubicin, mitomycin, cytarabine, vinblastine and vincristine. In many cases, hair begins to grow back two to three months after chemotherapy is over. New hair may be different than it used to be in terms of texture, thickness and color. It’s common for hair to grow back finer, curlier and grayer than it was before. What products can I use with thinning hair? Most volumizing products are designed for fine and thinning hair. On the other hand, sheen or hair shine products will make the hair look thinner. Shampoos with sulfates should also be avoided, as these dry the scalp and cause split ends. Products containing alcohol, such as hair spracy, will weaken the hair. Over-the-counter dyes contain harsh chemicals, which leave the hair susceptible to breakage. [NOTE: Coloring darker than your natural hair will highlight your exposed scalp]. It is especially important for those with thinning hair to always use heat protection products before using styling tools like blow dryers and flat irons. Lastly, less hair product is more. Too much of any hair product can weigh hair down, making it appear less full. Start with a small amount and only add more if needed. What is a TrichoView Hair & Scalp Analysis? TrichoView is an advanced digital videoscope used to provide a comprehensive view of your hair and scalp condition. This new technology is only available at Hair Club centers. Trichoview Hair Loss AnalysisDuring a TrichoView Hair and Scalp Analysis you will meet privately with a highly trained hair loss consultant. Using Hair Club’s state-of-the-art Trichoview system, your consultant will zoom in on your hair growth and hair loss at never-before-possible magnification levels on a high-resolution screen. This up-close perspective will provide you and your specialist with answers to your hair loss problem and the crucial information needed to get your hair back. During this safe and quick analysis you will gain valuable insight into your hair loss and the best treatment options for your individual situation. A FREE Trichoview Hair and Scalp Analysis is the most comprehensive way to learn more about the type of hair loss you are experiencing (or may experience in the near future) and what to do about it. Best of all, it's free with no pressure or obligations!